Holiday Cottages available to book direct from the owner. 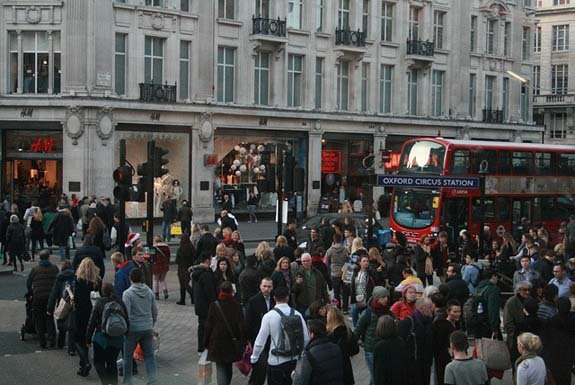 As the number of shopping days left until Christmas dwindles are you filled with horror at the thought of a visit to your local high street or shopping centre? Why not take a fresh approach to your Christmas shopping this year? Instead of braving queues in your local high street, book yourself a short break in one of the homes featured on Direct Holiday Cottages and plan your Christmas shopping at one of the many Christmas fairs or markets taking place across the UK. A little gift shopping in an atmosphere that helps lift your Christmas spirits, some fabulous local produce to grace your festive table plus the chance to take some time out, perhaps explore a new area and relax a little! Here’s a few suggestions to get you started . 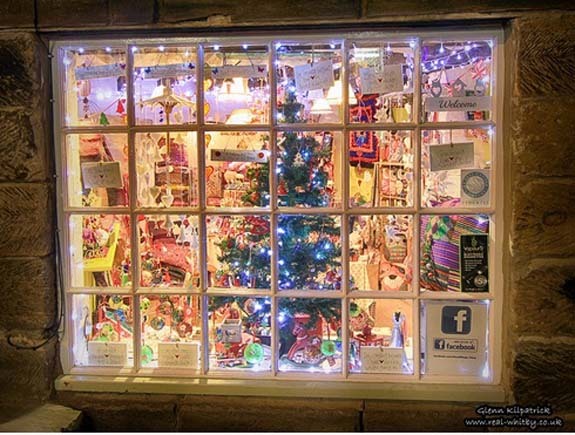 . .
An annual Christmas event in The North Yorkshire Dales with stalls for those Christmas gift ideas, refreshments, entertainment and festive music add to the occasion. A local event that all the family can enjoy with Father Christmas usually arriving in great style to deliver presents to local children. 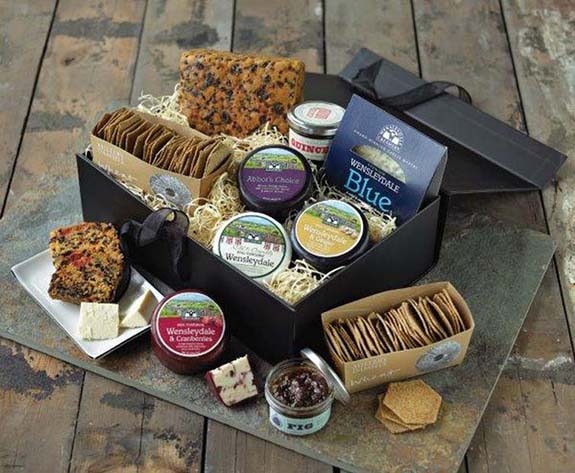 If you don’t get your gift shopping done at the festival, spend a few days exploring the Dales. The Station at Richmond in Swaledale, or Wensleydale Creamery in Hawes are two great options for some local produce. A wonderful magical event involving traditional Victorian costumes, Christmas window dressings and general festive merriment throughout the village. Stay at: Darnholm, Robin Hoods Bay, Whitby or Scarborough along the North Yorkshire coast. The annual Christmas Food & Drink Fair in Abergavenny has got festive feasting all wrapped up. The focus is definitely on food with a selection of local produce from Wales, the Marches and further afield. Take in chef demos helping you plan your own Christmas feasts, sample fabulous treats and collect top tips for seasonal fun and feasts. You can shop for fresh and cured meats, poultry and game, cheeses and chocolates, cakes and desserts, wines and liqueurs, ales and cider whether you’re buying as gifts or treating yourself! Stay at: An apartment in Brecon, a cottage just outside or for larger groups check out Portland House in Ross on Wye. From skating in the Abbey Grounds of the parish church to a lantern parade, Cirencester is full of Christmas activities and events. Explore gourmet foods in the Charter Market, antiques at Corn Hall as well as clothes, accessories and crafts from festively decorated chalets. Stay at: Millsyde at Kelso in the Scottish Borders. The Glasgow Christmas Market continues at St Enoch Square until the 23rd December. 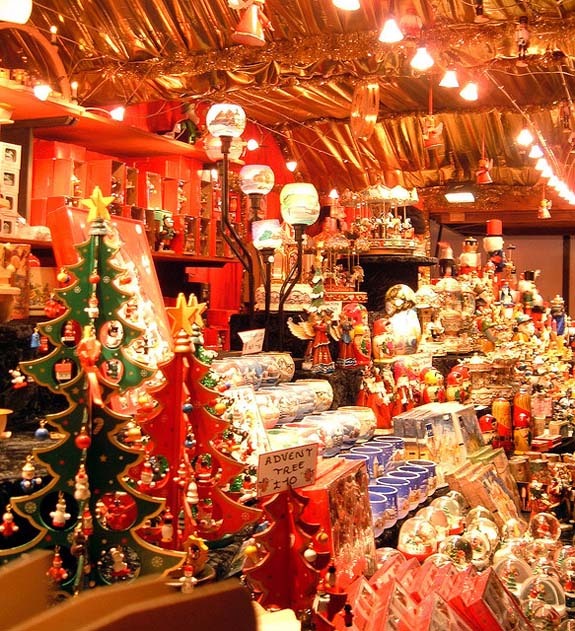 It offers an international array of goods, featuring traders from Ecuador, Russia and Lapland. Sample anything from Bavarian beers to mulled wine or hog roast to French crepes. Set in a prime location in Kendal town centre in the heart of the picturesque Lake District, this festive fortnight should really help get you in the mood for Christmas. Stay longer and enjoy the fabulous scenery too! You can choose from a German-style Market with alpine chalets, Gluhwein and Bratwurst Bar, traditional festive food and drinks, gifts and crafts or a selection of local produce at the Made in Cumbria events and Farmers Market. 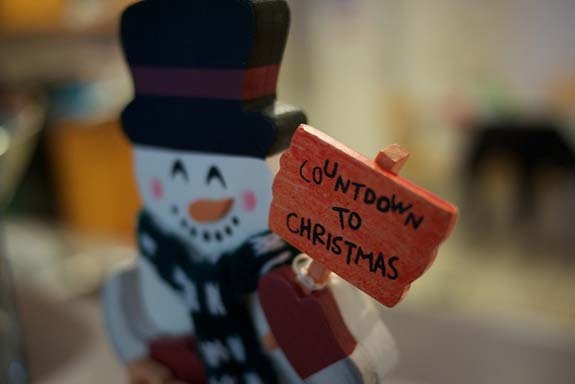 If you’ve left it to the last minute – shop up until the 24th December at the traditional Kendal Market. And if you still have energy after all that, take a spin around the skating rink from 21 – 23 December. Takes place on The Cathedral Green creating a real Christmas buzz at the heart of the city centre. Everything you need for your Christmas shopping with a mix of local and international traders offering unique, handmade and unusual gifts, decorations and speciality food items from across the continent. Visitors can also enjoy a hot Gluwhein in a specially designed Exeter Christmas Market mug. 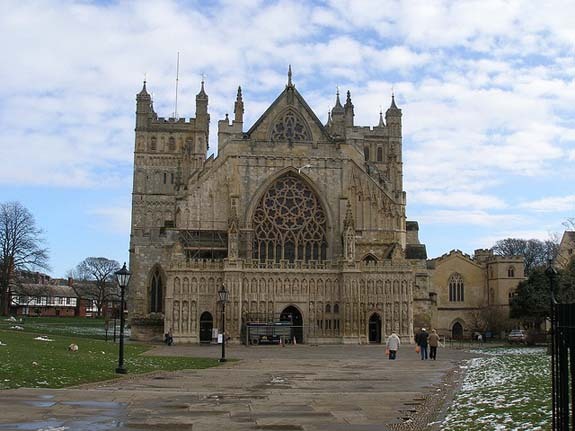 Take in a visit to the iconic cathedral at the same time. The first Christmas Market hosted here in a unique location just below the garden’s magical tree house. There will be plenty of choice whether you are looking for local hand-made gifts, stocking fillers or just want to soak up the atmosphere. There’s also rides for the children and the chance to pose for photos in the ‘Snowglobe’ experience. Stay longer and pay a visit to Holy Island while you’re there. Another Christmas event for all the family including the award winning Hexham Farmers Market, Hexham Abbey Fair, carol singing, performances from local schools and bands, mulled wine, kiddies rides, face painting, real reindeer and of course – Santa’s Grotto! This is just a small selection of the numerous festive events across the country. Share your own favourites you have visited in the past that helped you start feeling that Christmas spirit. 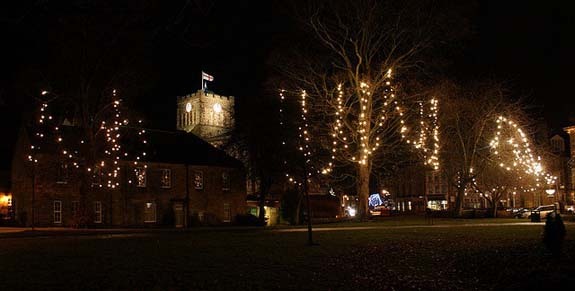 Or let us know about the Christmas celebrations not to be missed taking place near your holiday home. Add your own posts and pics today! OWN YOUR OWN HOLIDAY HOME IN THE UK? 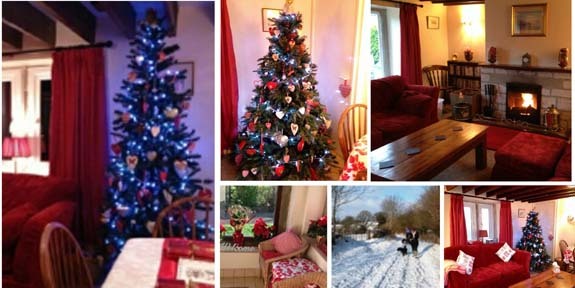 To list your own holiday home on www.directholidaycottages.com contact Sarah or Tracy for details. This entry was posted on Thursday, December 4th, 2014 at 8:00 am	and is filed under Cottages in Northumberland, Cottages in The Scottish Borders, Holiday Cottages, Holiday Cottages in North Yorkshire, Uncategorized. You can follow any responses to this entry through the RSS 2.0 feed. You can leave a response, or trackback from your own site. 5 Advantages of Owning a Website for your Vacation Rental Property.